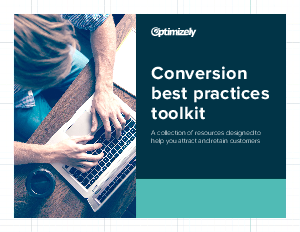 Welcome to the conversion best practices toolkit from Optimizely! You’re already one step closer to delivering meaningful digital experiences and turning prospects into customers. In an increasingly competitive landscape where customers demand more from their digital interactions with companies across a growing number of communication channels, customer acquisition can be a big challenge. In this toolkit, you’ll find a variety of resources aimed at helping you identify conversion optimization opportunities and acquire new customers with greater efficiency.